If you’ve taken advantage of the myriad Black Friday deals on mobile devices and PCs, you’re probably looking for content to feed the technology beast. 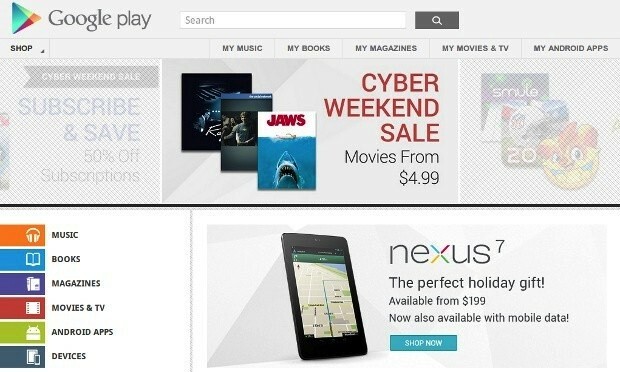 Google and app creators are pulling out all the stops to make sure that beast stays full: Google Play has discounts throughout the Thanksgiving weekend for just about every format on offer. Android apps are the highlight, with SwiftKey 3, Shadowgun and Documents To Go on the list of those with grander price cuts, although there’s some definite bargains to be had in media. Among the picks are price drops on books like The Hobbit, movies like The Big Lebowski and Serenity, and music from the likes of Diana Krall and Kendrick Lamar. We can’t possibly mention every offer here, so check our links for some of the larger deals. Terrence O’Brien contributed to this report. They say a picture is worth a thousand words — and boy did Instragram’s servers have a colossal amount of words to deal with yesterday. Via its blog, the Facebook-owned picture sharing service announced that, on Thanksgiving Day, more than 10 million holiday-related images were shared on the social network, which saw peak hour come in at around 12:00pm Pacific time with over 200 filter-packed (no filter, in some cases) images per second being Instagrammed. Moreover, Thanksgiving marked one of the app’s most active days in its short history, with Instagram saying that yesterday “broke all records as we saw the number of shared photos more than double from the day before, making it our busiest day so far.” Now bring on the #leftovers. It’s been almost a year since the ridiculously expensive SCH-W999 launched on China Telecom, so it’s about time for Samsung to come up with yet another dual-screen flip phone to lure folks with too much money. Launched in conjunction with a big charity concert (again) earlier today is the SCH-W2013, a 1.4GHz quad-core (likely an Exynos 4412) device with Android 4.0 and dual-3.7-inch 800 x 480 Super AMOLED touchscreens. On top of that there’s 2GB of RAM, 16GB of internal storage, microSD expansion of up to 64GB, 1,850mAh of battery juice, an eight-megapixel main imager plus a whopping 1.9-megapixel front-facing camera. 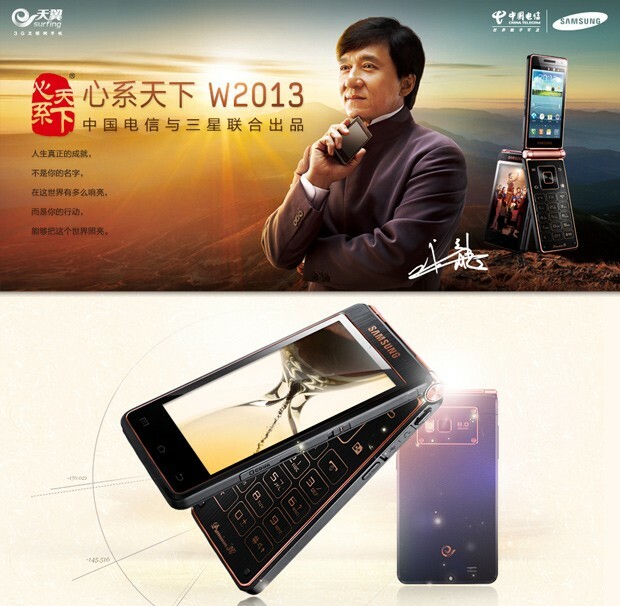 As with many flagship devices on China Telecom, the W2013 comes with dual-SIM support: one for CDMA2000 800/1900 and the other for GSM 900/1800/1900. The damage? Well, there’s nothing official yet, but it’s believed to be somewhere between ¥18,000 ($2,900) and ¥20,000 ($3,210). After all, it ain’t cheap to hire Jackie Chan (and he was also given a W2013 at the concert). This entry was posted on November 23, 2012, 5:41 pm and is filed under Mobility. You can follow any responses to this entry through RSS 2.0. Both comments and pings are currently closed.